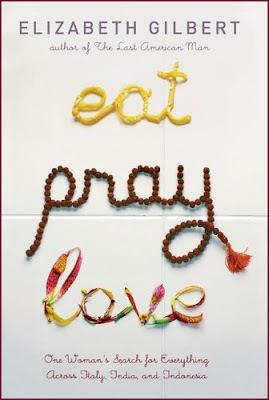 I just started Elizabeth Gilbert's new book, Eat, Pray, Love. For the first 10 pages or so, I was completely disappointed... here's another chick-lit book with annoying one-liners. Somewhere something in me changed and I began to sympathize with Gilbert in her search for wholeness. And I couldn't help but think about my own experiences in Italy. I lived in Florence for six months. I remember sharing wine with new Italian friends, numerous trips to the gelateria to taste every flavor, and the mysterious bakery next door to my apartment where we'd get free pastries after a night of partying. Of course, this is the only time in my life when I actually gained weight. Maybe it's time for another trip.